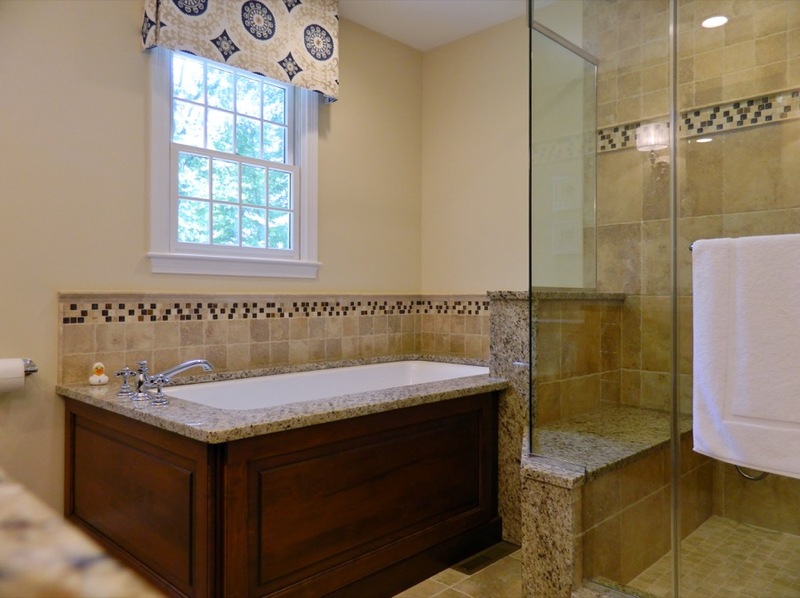 This bath design project was in need of a better larger shower with a bench, smaller tub while mainting the existing vanity size. The final design accomished all the requested design features for the client. The shower became almost twice the size it was in the previous design and providing glass walls makes the room feel more spacious. Paneling on the tub to match the vanity and the countertop material utilized on the tub deck and shower area gives the room a nice flow.